When you want to save time and hire someone to mow your lawn, our local professionals will provide the best mowing services around! We pride ourselves on being timely and dedicated while providing unmatched service to homeowners in Southbury, Middlebury, Woodbury, Watertown CT and beyond. As your local lawn mowing experts, we aim to offer a quality of service that will leave your lawn looking the best. When you want to have an expert mow your lawn, Brooks Landscaping LLC can provide mowing and care services that fit your lawn and landscape needs. We know there are many options when looking for a company to fulfill your lawn mowing needs, which is why we are well-equiped to offer timely, professional lawn mowing and yard cleanup around Woodbury Connecticut and beyond. If you’re ready to hire us to handle your maintenance needs for your lawn, Brooks Landscaping LLC is glad to help. 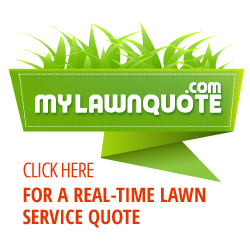 Feel free to even get a free, instant quote for your lawn needs with us in only a few minutes! Take your weekend back and contact our professionals for a free quote on mowing services for your lawn! When we leave after mowing your lawn, we leave with the expectation that your property is the best cut lawn in the neighborhood. With our professional dedicated crews we are able to provide you timely, high-quality, service.